Fiber Optic Equipment | Tensor Machinery Ltd.
Tensor has been building world-class fiber optic manufacturing solutions for over 30 years. Superior bearings and frames, coupled with an innovative low-tension process, ensure no project is too difficult or too sensitive to accomplish—even those involving bend-sensitive and multimode fiber. 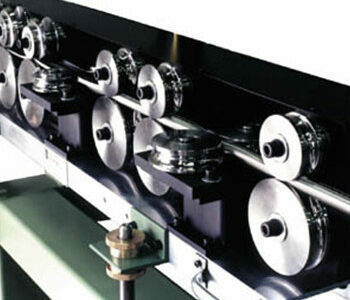 Tensor is known as a global leader in both innovative engineering and superior customer service. For over 30 years, we have been a premier supplier of fiber optic equipment, offering complete cable manufacturing solutions that can be customized to handle the demands of your business. Our low-tension handling capabilities mean we can accommodate any fiber type—even bend-sensitive and multimode fibers. Find the solution to your next fiber optic production challenge through our advanced approach to design. To achieve repeatable and reliable performance, our SZ Stranding lines use the latest electronics, drives and motor combinations. Built for the most demanding cable requirements, this line can achieve high speeds while maintaining superb tension control. 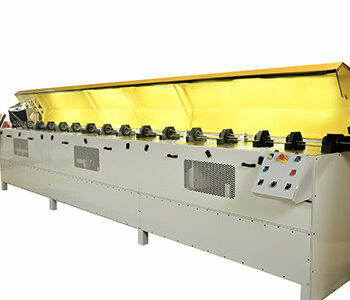 We offer indoor and outdoor jacketing lines. 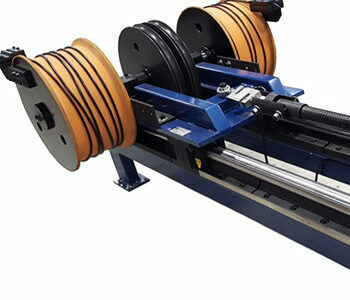 Extruders and peripheral equipment can be added to armoring and yarn-serving equipment. We tailor every aspect of design to meet your specific needs—from mechanical and electrical design to software development.